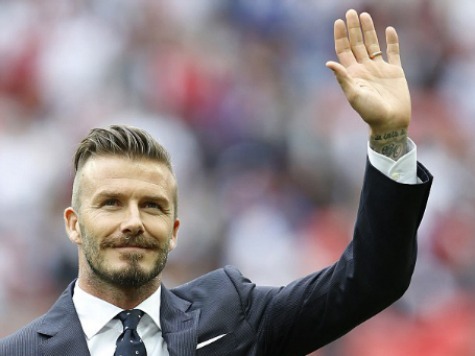 International footballer and former England striker David Beckham has stated his support for the United Kingdom, insisting that he wouldn’t tell Scots “what to do”, but affirming the value of British “friendship”. David and his wife, former Spice girl Victoria Beckham have often been called “Britain’s other Royal family” by celebrity magazines for their prominent place in the national consciousness and the global power of their families brand. Writing in support of the grassroots campaign Lets Stay Together Beckham spoke of his involvement in the 2012 Olympics “I took as much satisfaction in seeing Sir Chris Hoy or Andy Murray win gold as I did watching Jess Ennis and Mo Farah do the same in the Olympic Stadium”. Reaching out to Scottish voters, he wrote “The decision on whether to leave our shared country is, of course down to you, it is not my intention to tell you what to do. Nevertheless, that decision will have a huge effect on each and every one of us in the United Kingdom. “We want to let you know how very much we value our relationship and friendship. Of course regardless of your decision that will never change, however, my sincere hope is that you will vote to renew our historic bond which has been such a success over the centuries and the envy of the entire world. What unites us is much greater than what divides us. Let’s stay together”. Beckham’s support for the United Kingdom comes within hours of Her Majesty the Queen’s own words, with whom it is understood the Beckhams are well regarded. Amongst footballers David Beckham has lived a comparatively clean life, enjoying a strong traditional marriage and avoiding drug or alcohol abuse. Among Royal circles it is thought that the Queen and the Princes were very happy to see him awarded an OBE, as they consider him a good role model for youg people.